Here we are back with a new deal for you. 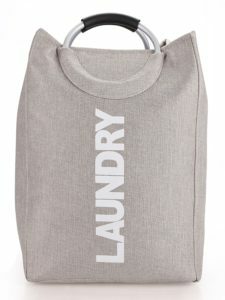 Amazon is selling Miamour Fabric Laundry Hamper, 20 Litres, Grey for Rs 380 only. Size of this product is 35 cm x 28 cm x 52 cm. So, grab this awesome deal now, before it goes out of stock. How to buy Miamour Fabric Laundry Hamper, 20 Litres, Grey from Amazon? Here we are back with a new deal for you. This time deal is on Laundry Hamper. Amazon is selling Miamour Tree Design Fabric Laundry Hamper, Big, Grey for Rs 296 only. So, grab this awesome deal now, before it goes out of stock. 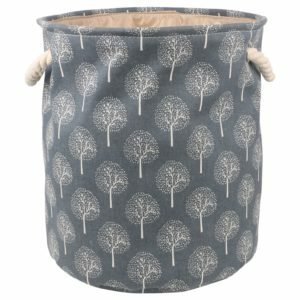 How to buy Miamour Tree Design Fabric Laundry Hamper, Big, Grey from Amazon? Here we are back with a new deal for you. 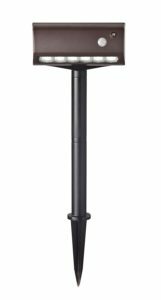 Amazon is selling Fulcrum 20033-107 6 Motion Sensor Wireless LED Garden and Path Light for Rs 621 only. How to buy Fulcrum 20033-107 6 Motion Sensor Wireless LED Garden and Path Light from Amazon? Here we are back with a new deal for you. Amazon is selling Corelle South Beach and Winter Frost Glass Dosa Platter Set, 3-Pieces, Assorted for Rs 599 only. Everybody has their own sense of style. Which is why we offer our Corelle dinnerware in so many different patterns and shapes. 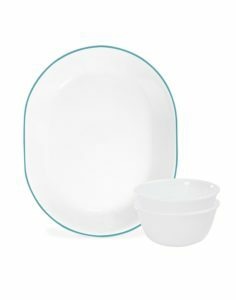 How to buy Corelle South Beach and Winter Frost Glass Dosa Platter Set, 3-Pieces, Assorted from Amazon? Here we are back with a new deal for you. 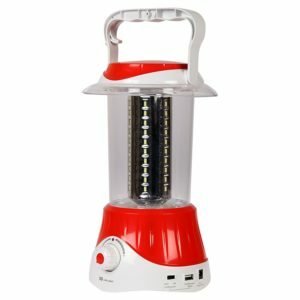 Amazon is selling DP 7034 6-Watt Camping Lantern (Multicolour) for Rs 721 only. The emergency light is with built in long life and maintenance free rechargeable lead acid battery of high capacity. The battery has more than 500 times charging than other lights and discharges very slowly. Its very easy to use and can be handled with ease. It is lightweight and easy to use. It is perfect for use at all places and perfectly blends in with the surroundings. How to buy DP 7034 6-Watt Camping Lantern (Multicolour) from Amazon? Here we are back with a new deal for gamers. Amazon is selling Cooler Master Mastermouse Pro L Mouse (Black) for Rs 2065 only. PixArt PMW3360 optical sensor with 4 DPI levels from 400DPI to 12000DPI with 50g tracking speed. Adjustable lift off distance, angle snapping and 1000Hz polling rate. So, grab this awesome deal now, before it goes out of stock. 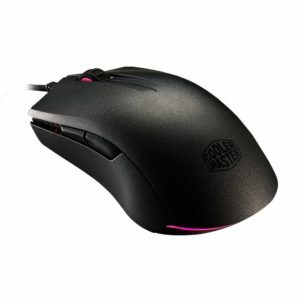 How to buy Cooler Master Mastermouse Pro L Mouse (Black) from Amazon? Looking to buy Dry Iron ? 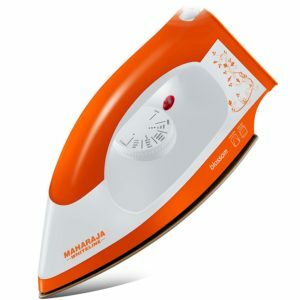 Amazon is selling Maharaja Whiteline Blossom DI-114 1000-Watt Dry Iron (Saffron/White) worth Rs. 1199 at Rs. 575 only. It has power of 1000 watt and works on a voltage around 220-240 volts. It has adjustable power control system. This product is ISI marked. It’s a good deal. So Hurry and Buy Now !!! How to Buy Maharaja Whiteline Blossom DI-114 1000-Watt Dry Iron (Saffron/White) at Rs. 575 ? 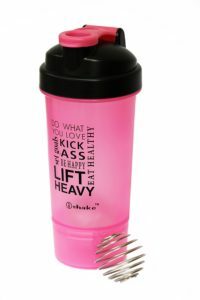 Amazon – Buy iShake Arsenel Gym Sipper worth Rs. 499 at Rs. 114 only. How to Buy iShake Arsenel Gym Sipper at Rs. 114 ? Are you looking to buy the Branded Copper Designer Handmade Cups? Well, this deal for you. 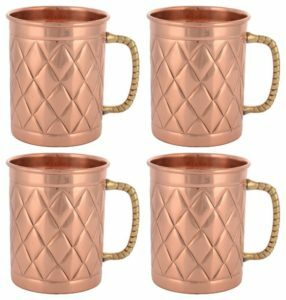 Amazon is selling Frestol Copper Designer Handmade Cups at Rs 552. So, hurry up and buy it before the stock is out. How to buy Frestol Copper Designer Handmade Cups at Rs 552? Flipkart is back again with a new deal. Buy Flipkart SmartBuy Handy Chopper (Multicolor) worth Rs. 599 at Rs. 279 only. It is made up of Stainless Steel. It is easy to use. It is manufactured by Flipkart, so quality is great. So Hurry and Buy Now !!! 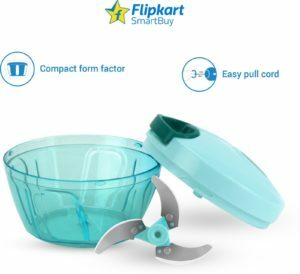 How to Buy Flipkart SmartBuy Handy Chopper (Multicolor) at Rs. 279 ?